The Rebel Sweetheart. 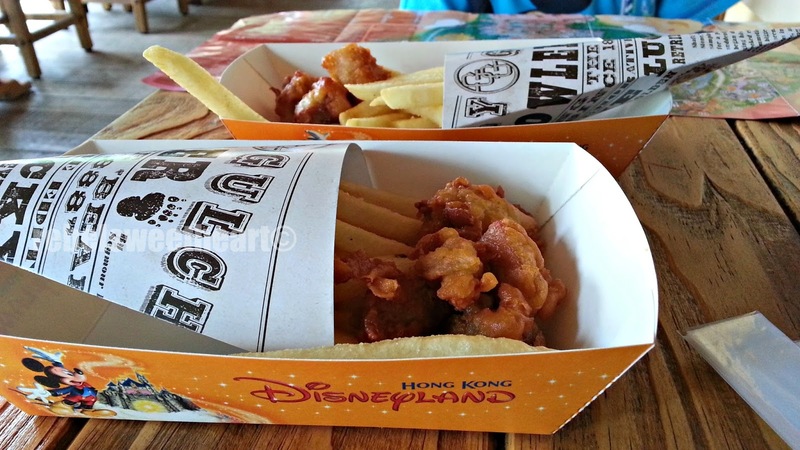 : Hong Kong Holiday | The Lucky Nugget. 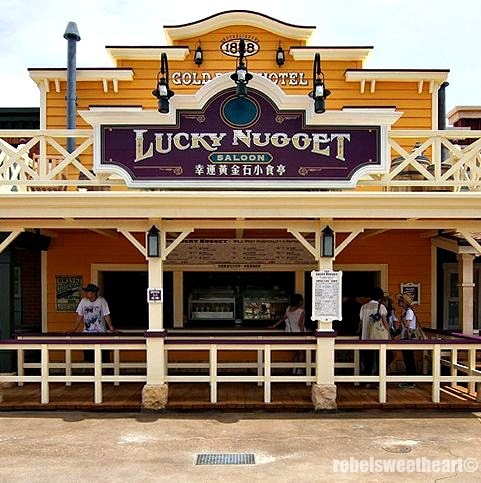 Deep inside the Grizzly Gulch - the western-themed attraction in Hong Kong Disneyland - lies the quaint and quirky saloon called The Lucky Nugget. 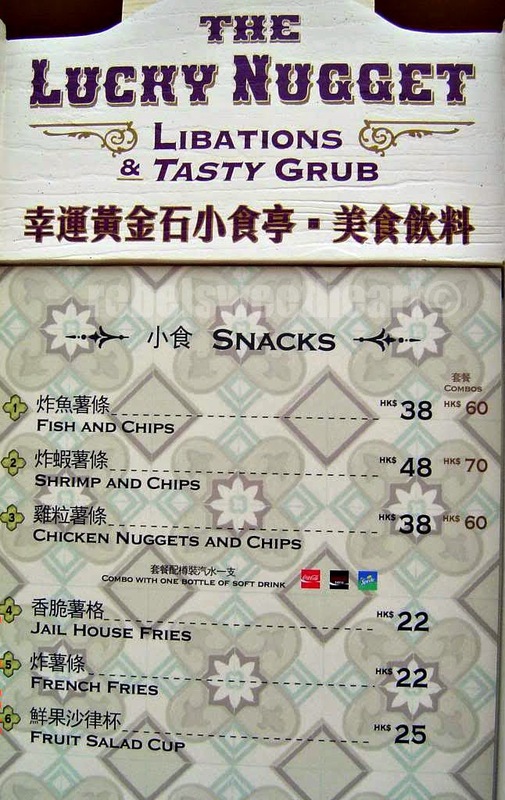 It's a quick service restaurant that serves snacks and refreshments. 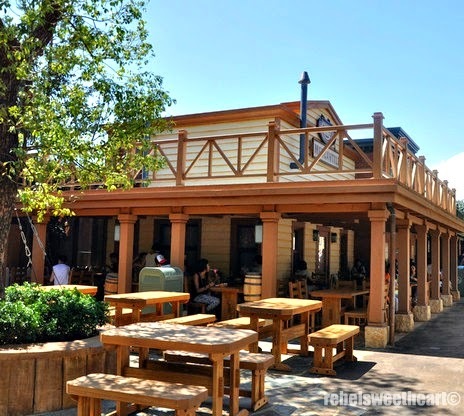 You can choose to seat inside the saloon, or enjoy the outdoors on these picnic tables. Their menu includes crispy battered fish fillets, shrimp and chips, salads, and the mango panna cotta that we all know and love. 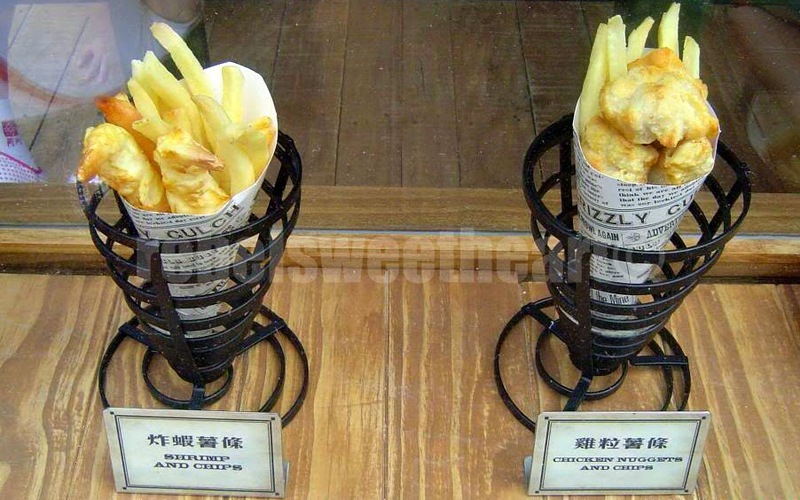 Prices start at HK$22 (Php 126) for their ala carte french fries, with the HK$70 shrimp and chips combo (Php 401) being the priciest item on their menu. Combo meals include a bottle of cola - your choice between regular Coke, Coke Zero, and Sprite. 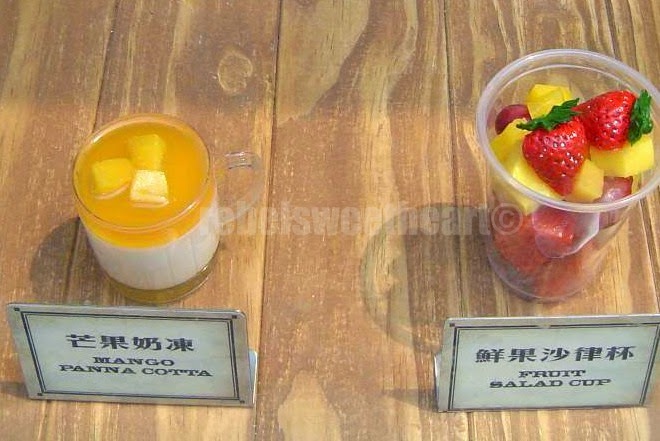 Mango Panna Cotta. And fruits, too! We stopped by for a quick snack, and to give our bodies a few minutes of rest from all that walking around and taking pictures. Photo op at The Old Jail. 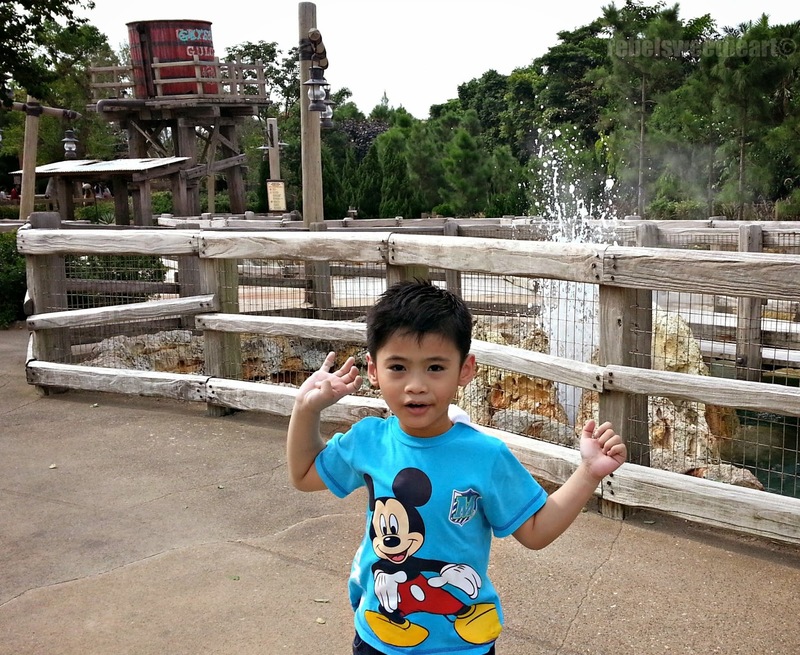 The majestic geysers of Grizzly Gulch. We all had Chicken Nuggets and Chips, one combo meal each. The food may look very simple, but they're incredibly tasty, especially when dipped in sauce. The batter is light and crisp, and the fries have very little grease. Looks like a cool place to visit with kids. 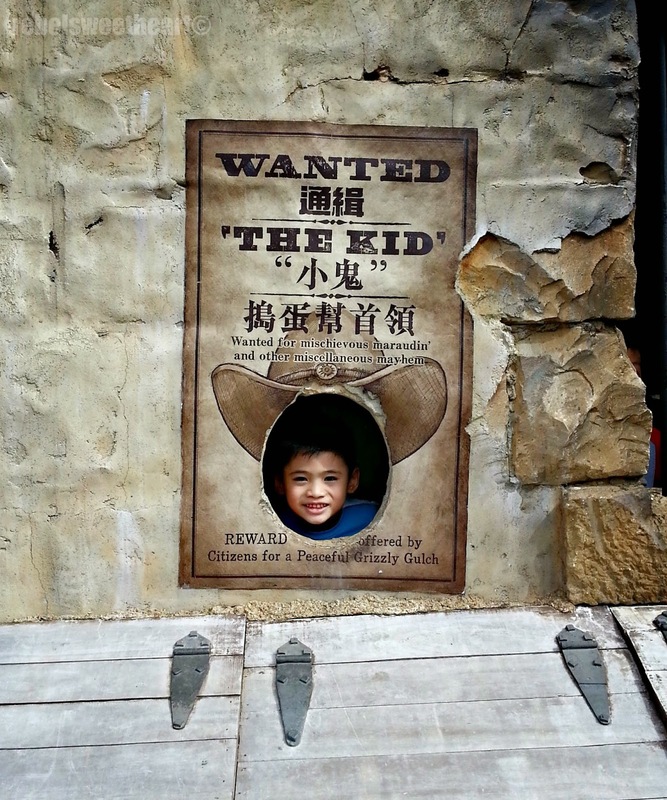 I think this is a new attraction in HK Disneyland. Last time I went there they still don't have this... Looks like the little man really enjoyed your trip! Will definitely visit this place with my daughter..I know she will love this place. 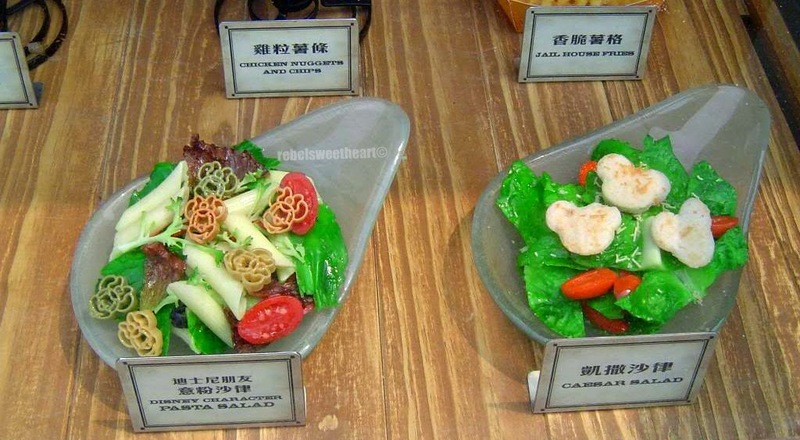 You had a great vacation there and those foods are mouthwatering and I like the character salad. It's been a while since i took the kids to Hong KOng. It looks like you had so much fun! 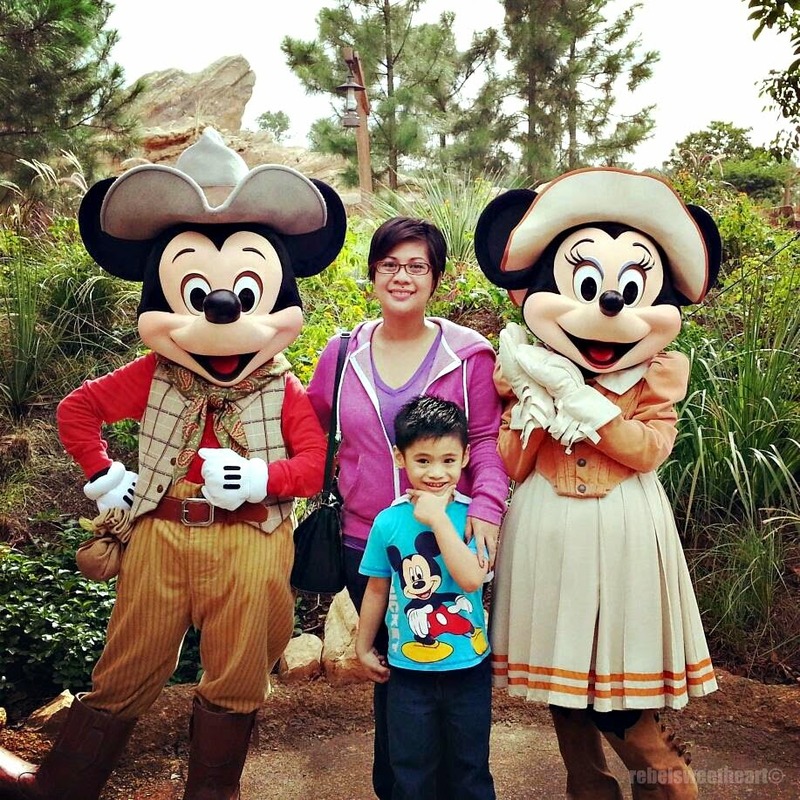 Oh how thrilling it must've been to bump into Mickey and Minnie! Looks like a great place to visit. All of the food looks amazing! Oh that is cool. I bet my kids would love it. Those snacks look really good. What a cute place! I'd love to go to this!